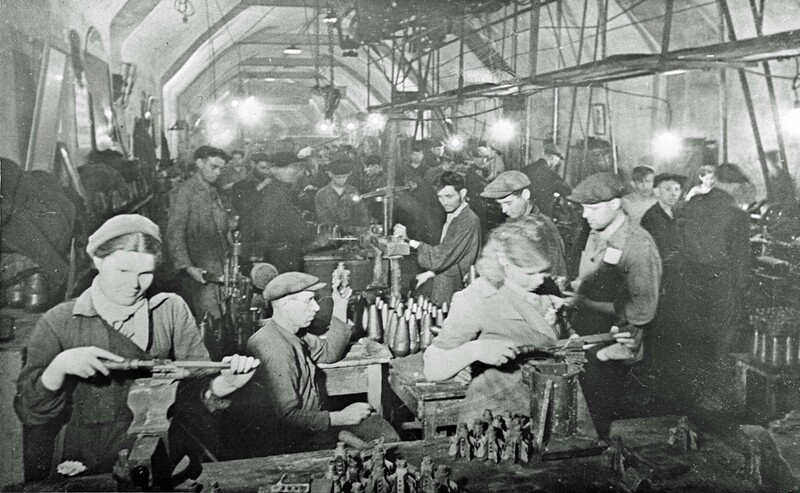 One of the workshops of the Sevastopol underground military special plant №1. The plant was located in the galleries of Troitskaya ravine and produced 50-mm and 82-mm artillery mines, hand and anti-tank grenades, mortars. He worked until the end of the defense of Sevastopol in June 1942.